Are you looking for countries where you can apply for a work? If yes, then this post might help you. 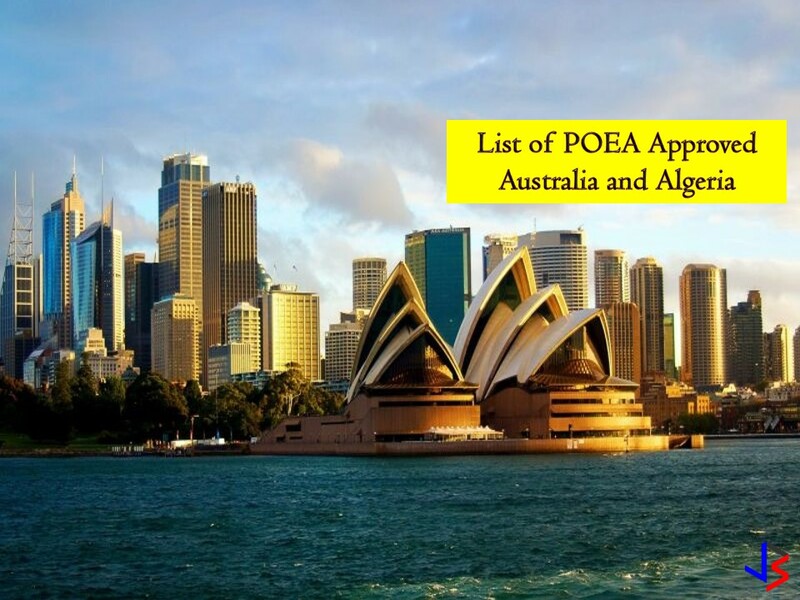 The list below is a compilation of jobs approved by the Philippine Overseas Employment Administration (POEA) for deployment to Australia and Algeria. This is the latest job orders this 2018! Algeria is in need of Filipino workers such as; electrician, electrical inspector, painter, technician, rigger, scaffolder, etc. On the other hand, Australia is also hiring Filipino workers particularly the following; mechanic, pig farmer, welder, draftsman, glaziers, and many others. Check below for the complete list. Jbsolis.net is NOT a recruitment agency and does NOT process nor accept applications for jobs abroad. All information in this article is taken from the website of POEA — www.poea.gov.ph for general purposes only. Interested applicant may double-check the job orders as well as the licensed of the hiring recruitment agencies in POEA website to erase the doubt and make sure everything is legal. This article is filed under jobs abroad, employment site, local employment opportunities, international employment opportunities, job site, employment site, jobs near me, Filipino workers, hiring Filipino workers, construction jobs abroad, Australia jobs, farming jobs, and Algeria jobs.